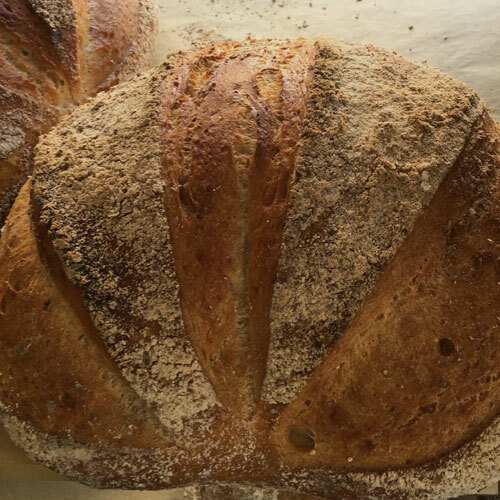 All our loaves are made fresh, by us, every day. 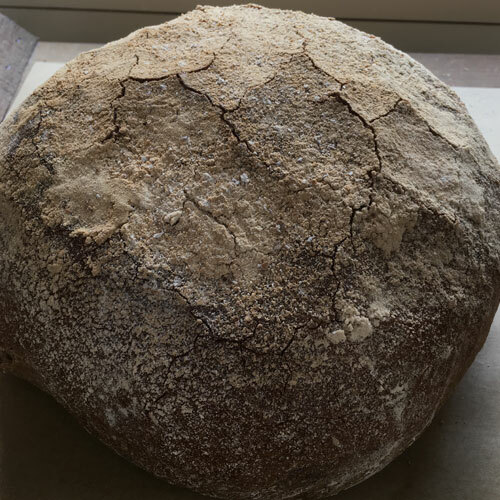 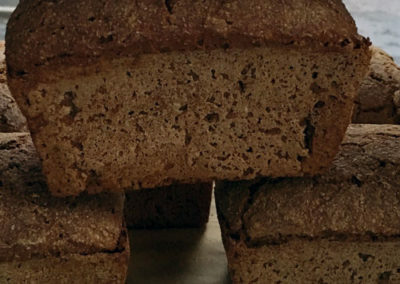 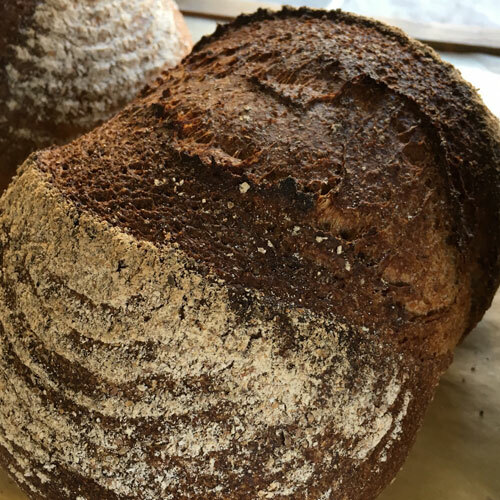 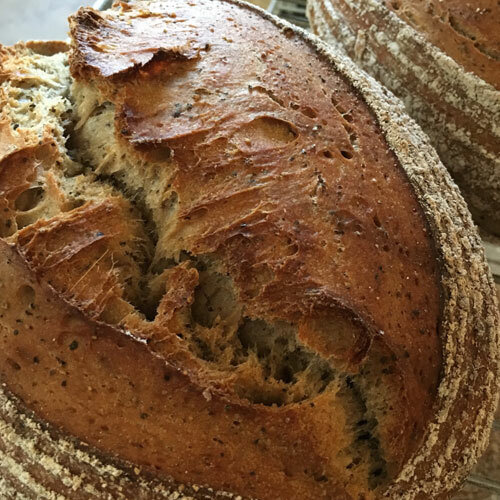 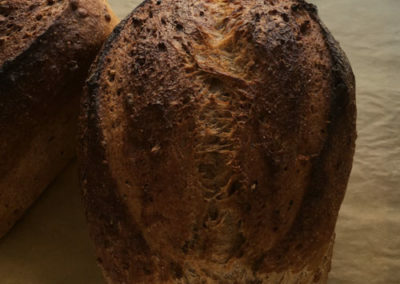 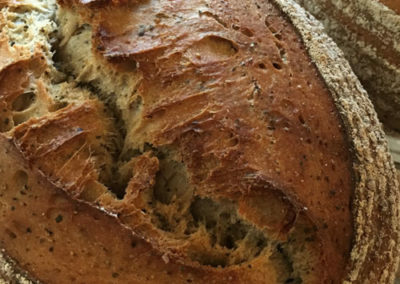 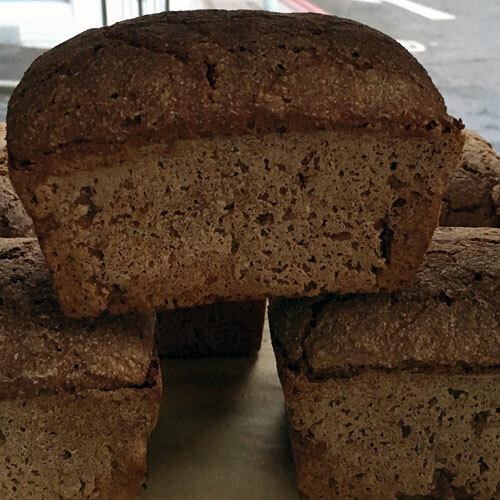 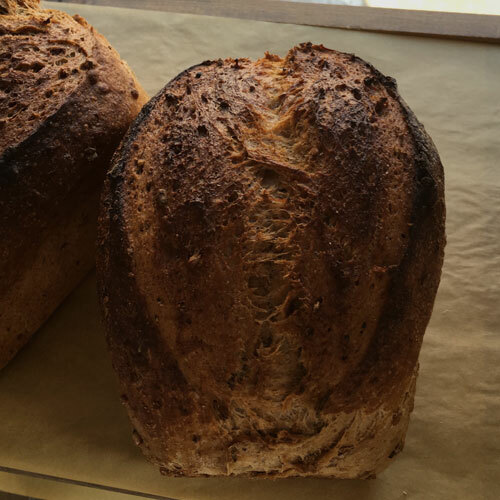 Whether it’s a European-style dark rye, a crusty baguette, our best-selling five-seed sour or our trademark London levain, all are made the old-fashioned way, in other words without chemical additives, preservatives or artificial flavourings of any kind. 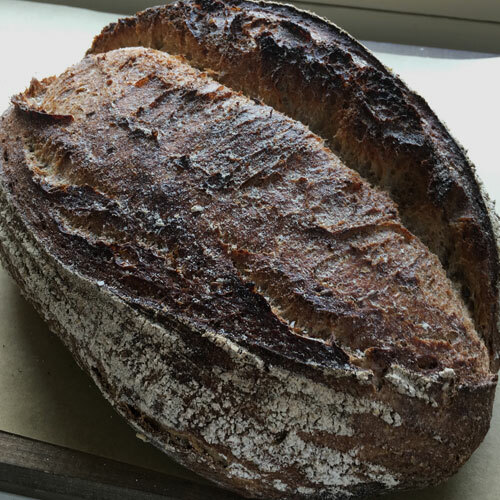 At its simplest, this means using just three basic ingredients: flour (most of the flour we use is organic), water and salt. 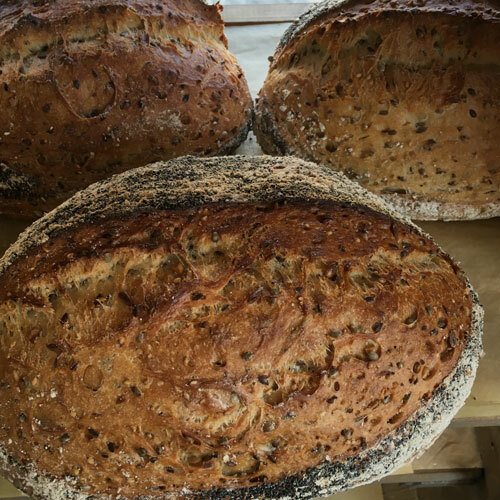 Our sourdoughs are raised with our own 20-year-old starter culture and take anywhere from 18 to 36 hours from first mix to final bake. 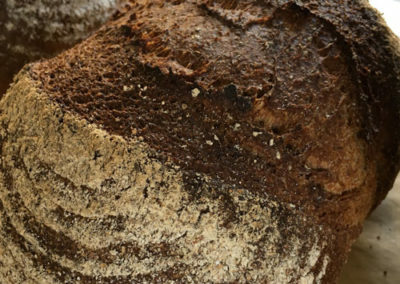 That’s because the real secret ingredient in good bread is time. 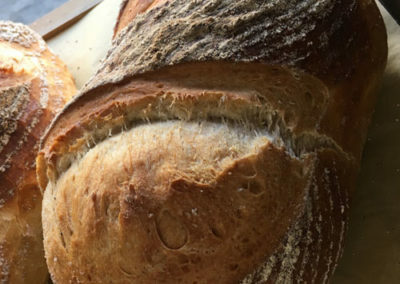 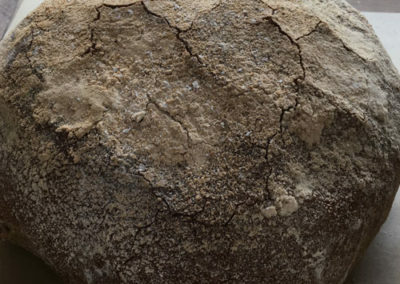 The long, slow fermentation is what gives the bread its unrivalled depth of flavour, satisfying texture and excellent keeping qualities (a sourdough loaf should stay fresh for at least four days). 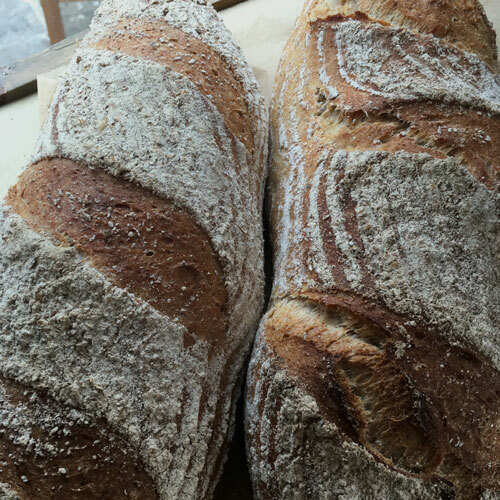 Fermenting the dough slowly, at low temperatures, also helps to begin the process of breaking down the gluten, which is why some people who find industrially made bread hard to digest have no problem at all with sourdough. 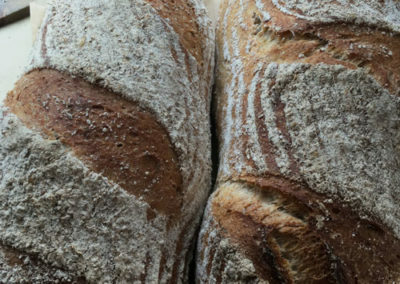 Some loaves, however, are definitely improved by the addition of a small amount of yeast, typically to soften the crumb. 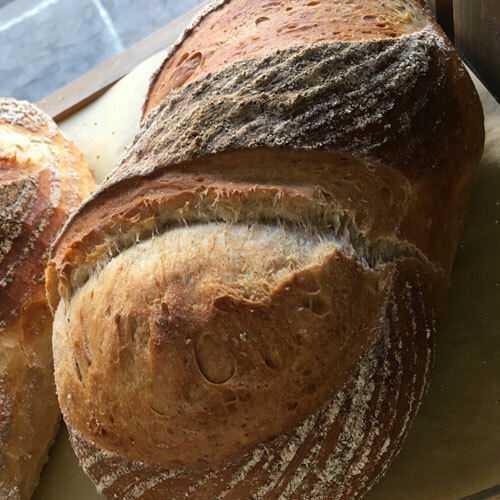 Where we do use yeast, it’s in combination with the sourdough culture, so these breads too benefit from the slow fermentation process. 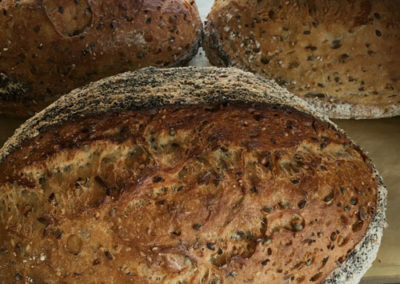 We have now developed a roster of around 25 different breads. 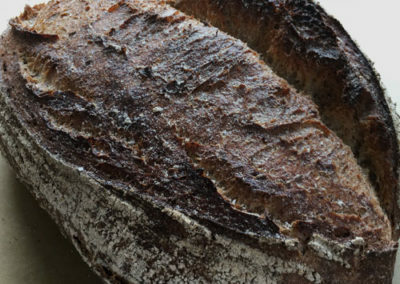 Some are available year-round, while others change with the seasons. 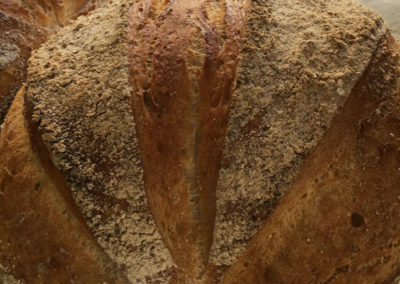 Website Design By Digital Yak | Copyright Hill Bakery - All Rights Reserved.